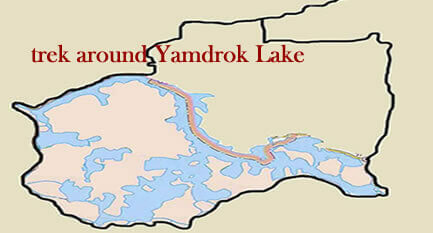 Trekking / hiking around Yamdrok Lake which is one of the 4 holy lakes sounds extremely enjoyable, beautiful view, not touristy, water and snow-capped mountain in the destance,etc. In this trekking, you can customize it to a hiking, with your private vehicle following you up carrring tents but no yaks or horses. It is avaialbe all year round. 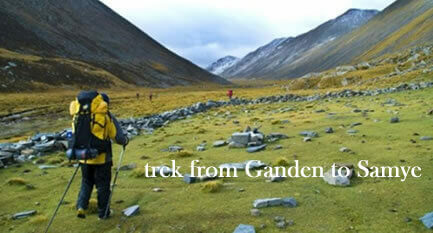 A trekking from Ganden to Samye is the most popular trekking route in Tibet. During this trek, you will see lakes, beautiful alpine forests and meadows, as well as two centres of Tibetan religious culture. The best time for this trekking is from May to Mid of Oct. Summer will be wet but the mountians are at their greenest and wild flowers spangle the alpine meadows. 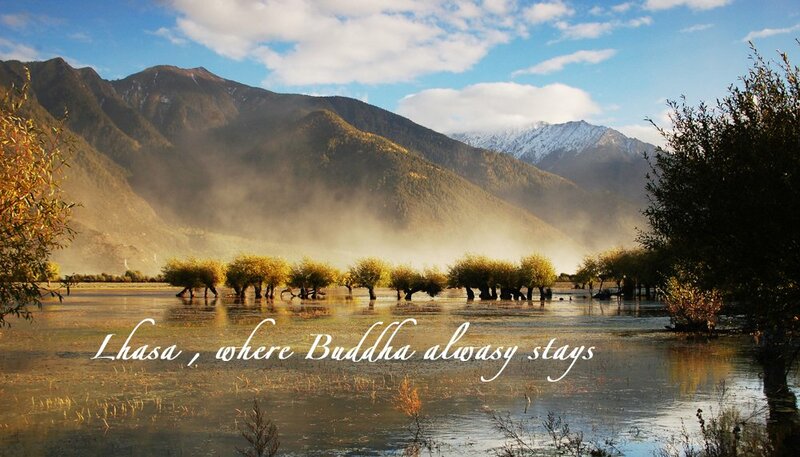 Before your start this trekking you need a couple of days at Lhasa to acclimatise. The Tsurphu to Yangpachen trekking is an excellent choice for those who want to get a close look at the Tibetan herders (drokpa) and their semi-nomadic lifestyle. Although they have permanent winter homes they still spend much of the year camping with their animals. Yangpachen Beginning at Tsurphu Monastery this rugged walk crosses several alpine valleys before emerging into the broad and windswept Yangpachen valley. This is a high elevation trekking exceeds 4400m for the entire duration and a maximum elevation of 5300m at the Lasar-la. Combining alpine tundra and sweeping mountain panoramas with visit to monasteries and a nunnery, this trekking nicely balances cultural and wilderness activities. 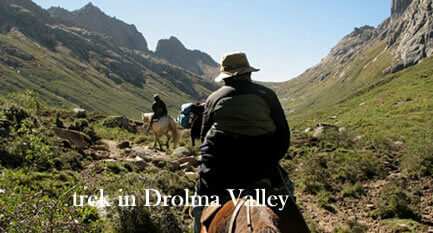 The Best time for this trekking is from Mid- April to Mid of October. 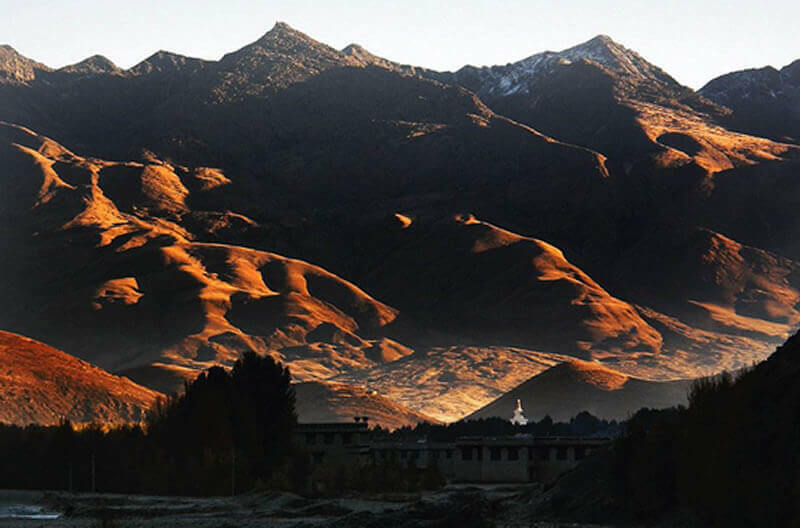 In this 9 days tour,you will see not only many beautiful palces in Lhasa,but also you can see Shalu Monastery,Ngor Monastery,Nartang Monastery,Tashilunpo Monastery and have many trekkings around these famous monasteries. 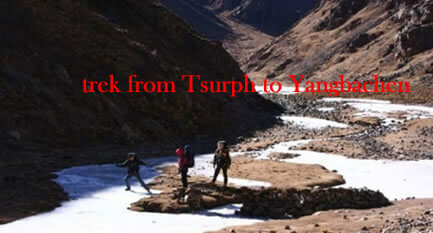 This two or three days walk is a good opportunity to get a feel for trekking in Tibet. The two passes en route, Showa-la and Char-la, are not panicularly high or difficult and the trail heads are easily accessible from Shigatse. This trekking begins at the historic Shalu Monastery and traverses west over a couple of small ranges to Ngor Monastery. 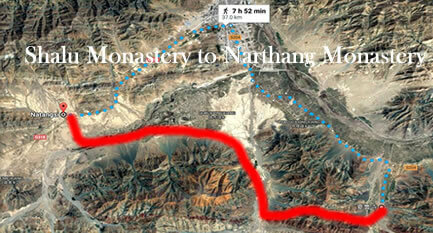 From Ngor it is a downhill slog to Nartang Monastery. The route passes through several villages as well as uninhabited dry canyons. It is about a 10 hours walk to Ngor from Shalu, which is best divided into two days and another seven hours from there to Nartang. 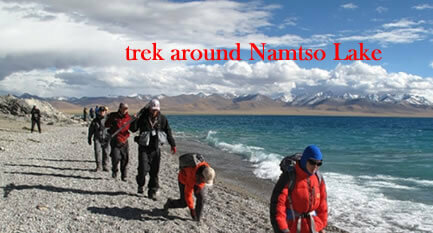 This trekking tour can be done from April to the end of October. 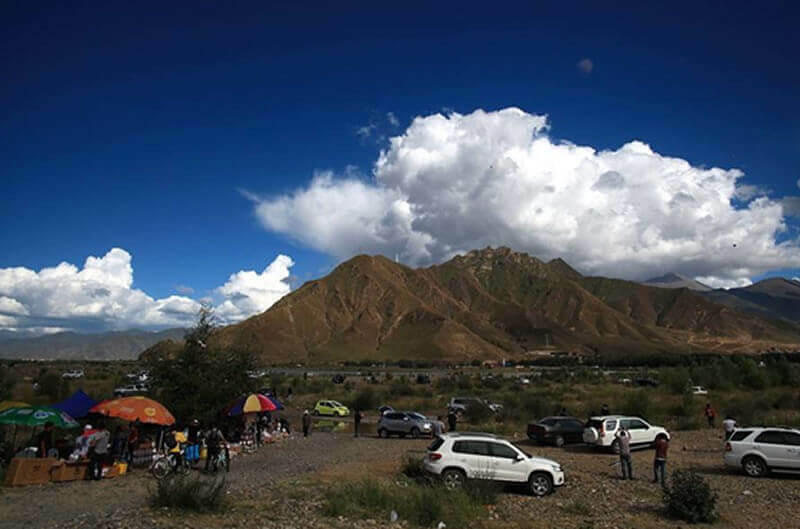 Located 230km from Lhasa,and the northern plateau of Nagqu county, trekking here you will experience the forest green, fragrant flowers, a landscape of lakes and mountains, full of vitality,although at an altitude of about 4700 meters,. 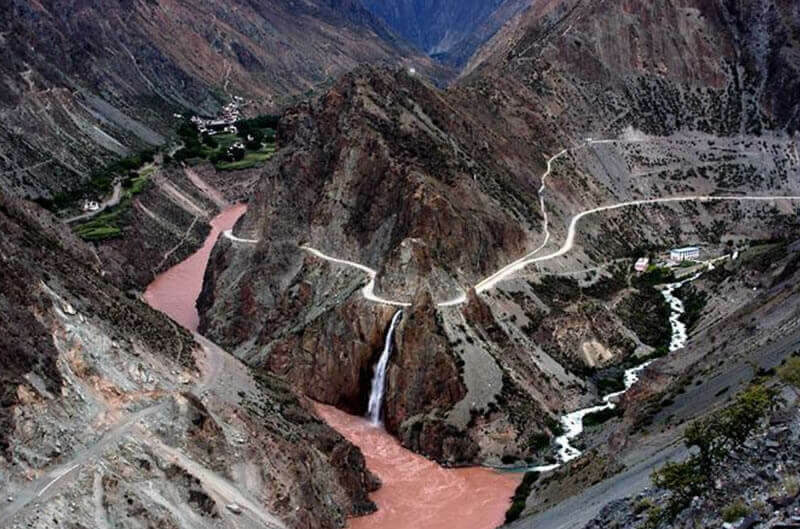 Due to its beauty, people like to call it Zhuoma (a very beautiful girl in Tibetan language) Zhuoma Canyon Scenic Area. She situates north-south direction, two sides have quite different climate. One side is the snow capped mountains, the other side is lush shrubs. The perpetual snow ice melting into a clear mountain valley. The Xuefeng top eagle on the eastern side of the hill, wild sheep, marmot and Himalaya, hare, plateau grassland animal. In the blue sky, clear water, snow capped mountains together in a unique plateau scenery. There's a modern glacier erosion landform, Xun phosphate rocks, caves around, charming and extraordinary as if done by the spirits, left Many touching Legends. 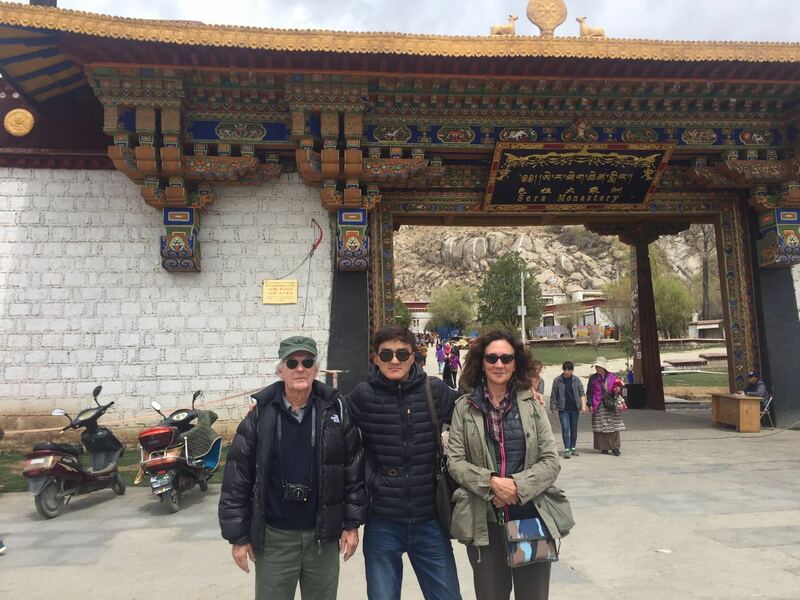 The focus of this trip is a spectacular 4 day trek that gets you out of Lhasa and quickly into some of the most spectacular trekking terrain you will ever see. Starting 2-3 days at the famous Lake Namtso we camp away from the normal tourist site, sharing our camp with nomads and yaks. Not too far the base of Mt. Chomokangar, a stunning peak just short of 7000m. We then spend the next 2 days exploring the incredible alpine environment and views. If you only have a short amount of time and you want to get amongst glaciers, alpine lakes, yaks and pikas and experience camping out near yak herders piques your interest, this trip is a perfect choice. Everest Base Camp trekking is the second popular trekking route in Tibet. And most of the time you will walk on a plateau over 4300m, even you will cross over one pass Nam-la 5300m, so this trekking route is a really difficult high-elevation.However, because of the high-altitude, it offers a splendour views of north face of Everest and other snow mountain peaks around. 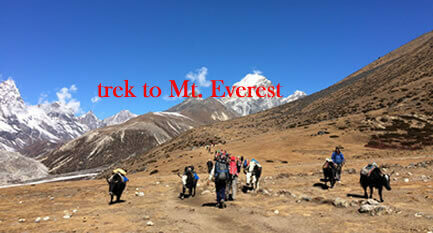 The Everest Base Camp Trekking tour can be done from April to late October. 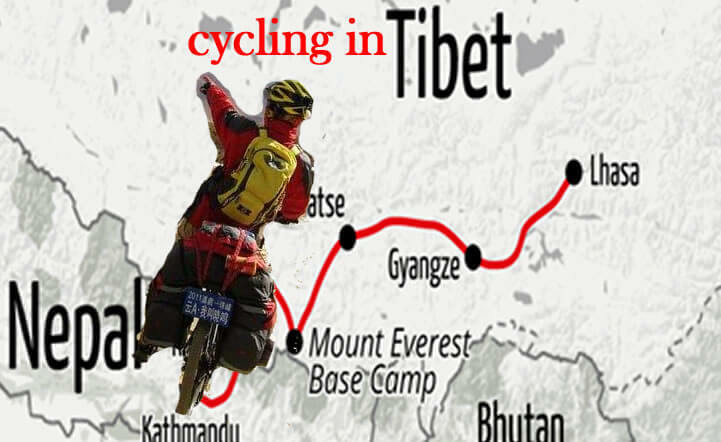 Our tour involves a few day sightseeing at Lhasa at first and some of the tours off the Friendship Hwy to Old Tingri to acclimatise. 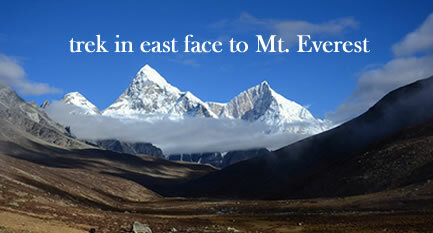 A trek to the East Face of Everest This trek is quite special with only a few people trekking this region in a year. A Journey through the Kharta Valley , passing through several other verdant tiny valleys along the way which are dotted with beautiful lakes on a journey to the Khangshung face, the Eastern face of the Mt. Everest. This isolated region borders Mt. Everest in the West, to the South lies the jagged Himalayan range of Makalu. 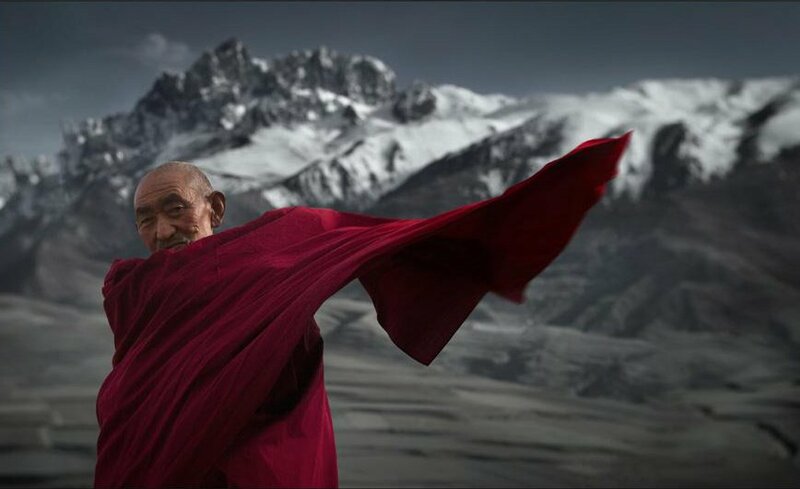 North and East lies the arid Tibetan Plateau. The region is famous for its pristine wilderness, beautiful lakes and superb views of Mt. Makalu (8475m), Mt. Karma Changri (6289m) along with the enormous Khangsung glacier. 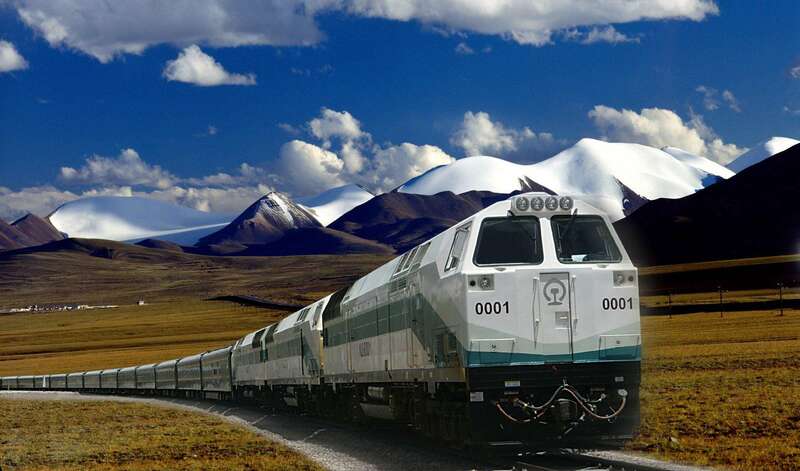 The overland tour from Sichuan to Tibet can be viewed as the most adventurous one, while the scenery along the way is the most stunning beautiful. For successfully accomplishing this trip, a comparatively long time for preparation will be necessary, at around 14 days.